Welcome to my website and blog. Here’s where you can deepen your appreciation of tarot’s 600-year history, pick up tips on reading with historic decks, and read reviews and articles of historical interest. My tarot odyssey began in 1972 when I found David Palladini’s Aquarian Tarot in the legendary Either/Or bookstore in Manhattan Beach, California. I quickly expanded my repertoire to include the Morgan Greer and Motherpeace decks. Then for two decades the Robin Wood Tarot was my standby reading deck. 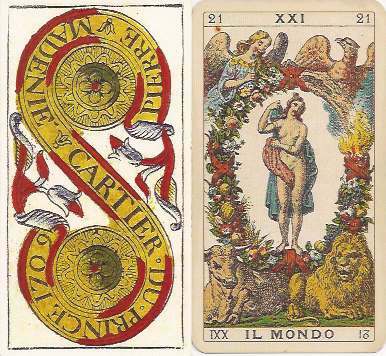 I didn’t know there was such a thing as tarot history until the late ’90s, when I discovered Yahoo’s Tarot_L forum, where many prominent tarot historians generously shared their research. I quickly realized my knowledge was extremely limited, and became obsessed with learning as much as I could about tarot’s origins and early history. The History section of this website is the distillation of fifteen years’ reading and research. For several years, my historical research and my reading practice ran on parallel tracks. They finally converged in 2001 in Tom Little’s Antique Tarot class on Yahoo. The timing was perfect, because I was getting frustrated with the limitations of fully illustrated decks. I realized I could read more fluidly and intuitively when I didn’t have other people’s images boxing in my creativity. If you’d like to try this reading style yourself, the Cartomancy section has everything you need to get started. The Ancient Italian Tarot published by Lo Scarabeo has been my faithful companion for the past fifteen years. Recently, I fell under the spell of Pierre Madenié. Now I’m a tarot bigamist who alternates daily between the two decks. 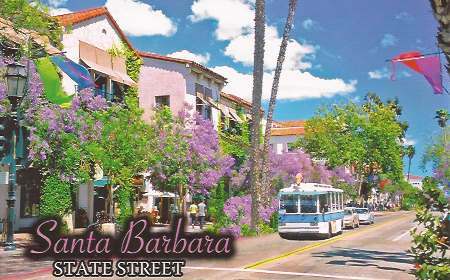 On a personal note, Santa Barbara, California has been my home for 35 years. I enjoy taking the little blue trolley to the art museum, classical music concerts and sidewalk cafés. Our near-perfect weather allows me to do Qi Gong outdoors year-round. Beachcombing at low tide feeds my soul. I’m passionate about sharing the beauty and fascination of historic decks with the tarot community. Please subscribe to my blog for the latest updates on historical research, newly released decks of historical interest, and card reading tips. 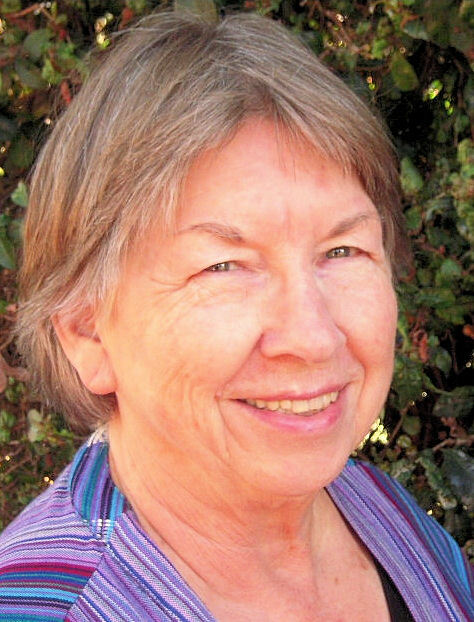 I’m a past board member of the American Tarot Association, where I participated in their Free Reading Network and mentoring program for several years. I’m also a member of Tarot Professionals. Since attending my first tarot conference in 2002, I’ve been privileged to learn from many outstanding teachers. Meet them on my Who’s Inspired Me page. Tarot is a visual language that sparks creative connections in our minds. Reading with the iconic images of historic decks can take us even deeper into the psyche; while knowledge of tarot’s 600-year history deepens our relationship with the cards. Please visit https://tarot-heritage.com/get-a-reading/ to learn how we can work together using tarot imagery to clarify any issues or decisions you are facing.